Many customers who went online early Friday to preorder an iPhone X were unable to snag a launch day device due to expectedly high demand, but it seems Apple is working on supply issues and has updated certain orders to reflect improved ship times. A number of preorder customers are noting the delivery date changes in posts to online forums and social media services like Twitter. While not universal, a majority of buyers seeing estimated shipping improvements were originally scheduled to receive their device between Nov. 10 to Nov. 17. As noted by one MacRumors reader, their order for a T-Mobile iPhone X was updated from what is thought to be Apple's second batch of deliveries to a launch day estimate of Nov. 3. Other customers posting to Reddit are seeing identical changes in Apple's shipping schedule. At this time, most updated orders appear to be linked to T-Mobile units, though there is a possibility that Verizon, AT&T and Sprint will also benefit from the supply update. As Apple has not furnished information regarding the updated estimates, it is not currently known why certain orders are seeing improvements while others are not. Cancellations, overly conservative stock estimates and accelerated manufacturing have been speculated as potential answers. In any case, the improvement is good news for those who stayed up — or woke up — to place their preorder only to be left with a ship-by date one or two weeks out. If manufacturing is to thank for the change, the revised delivery times bode well for customers originally quoted delivery dates of 3 to 4 weeks, or even 5 to 6 weeks. It would also suggest increased iPhone X supply running into the lucrative holiday shopping season. 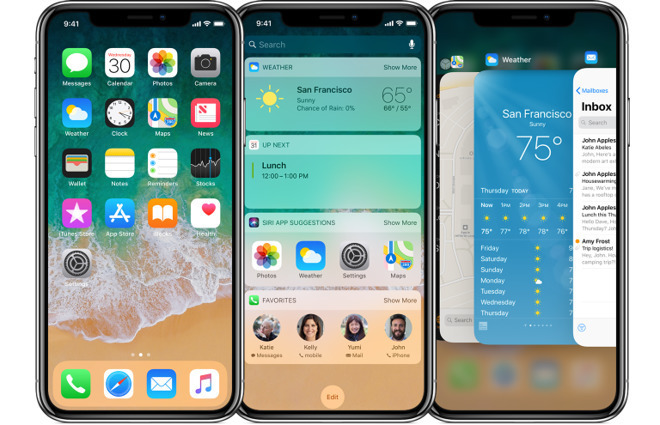 Prior to today's start to preorders, analysts cautioned that iPhone X would be severely constrained at launch. Last week, noted analyst Ming-Chi Kuo said Apple will likely have 2 to 3 million units on hand for the phone's Nov. 3 debut. By contrast, first weekend sales of iPhone 6 came in at more than 10 million units. In a statement earlier today, Apple said iPhone X demand is "off the charts," adding that it is "working hard to get this revolutionary new product into the hands of every customer who wants one, as quickly as possible."